Are you ready for a fun Pocket Letter class this Saturday?? Please call the store on 8277 1298 to book your spot. Be quick though there are only two more sleeps!! So this Saturday (April 1st) is going to be another amazing day of classes. First up we have the super talented Belinda Spencer teaching in our store. She has another of her pocket letter/project life/multi pocketed style class for us. Using a lovely collection of papers from Echo park, is class is sure to be a heaps of fun and creative. Belinda's class is at 10am-1pm, Cost of the Class is $16 + $15-$18 dollar kit. In the afternoon Denise is joining us for another of her card workshops. She has designed two beautiful cards, with the prettiest handmade flowers I have ever seen. She has also done some of the die cutting to help with the class. Denise's class starts at 1pm-5pm Cost of the class is $18 + kit. 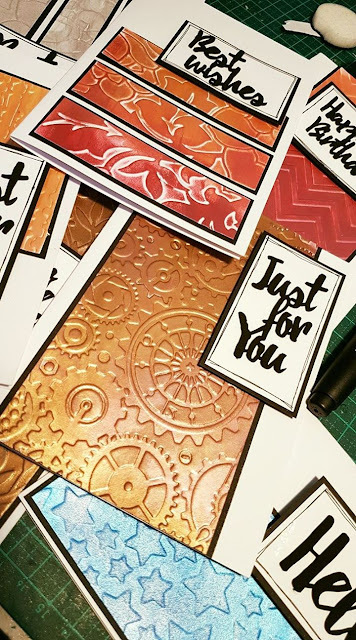 Saturday's Big Shot class is a little inky... using Embossing Folders and Viva Inka Gold create up to 8 cards... $16 class + $10 kit... chipboard sentiments are optional extra. We still have room in all our classes at this stage so ring the store on 8277 1298 and book in. PS Got another 6 boxes of new stock today, will have to work extra hard tomorrow to get it all in our system. 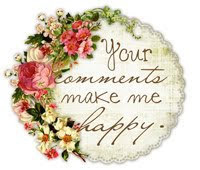 I have just finished the newsletter so it should be going out tonight or early tomorrow. please bring basic kit plus heat gun, hot glue gun, fan brush and a smile. :) :) :) a 3 Layout class!!! Please bring along in addition to your basic kit a brayer, some small-medium soft bristle paint brushes and an office stapler [long arm if you have one]. PLEASE NOTE: Amanda's Class has been cancelled. Please accept our apologies. Please note the time change for this class! Time to recap Hair & Skin tones! Louise here sharing some sneak peeks and information about my class this coming Saturday! This class is a Monoprinting class but with a twist :) :) :) Oh and it is also a 3 Layout class!!! 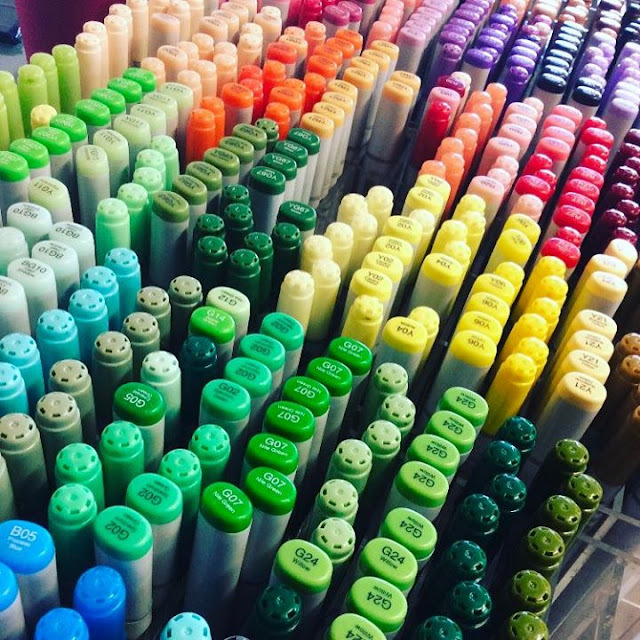 Then sign up now for the 2017 Copic Certification Program NOW! 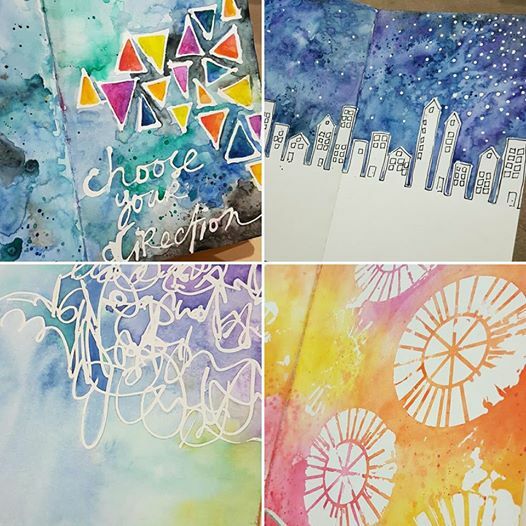 This Saturdays Art Journal Class is all about Watercolors... this one's gonna be a fun one..
10am start... $16 class + $20 kit which includes a Fineline Resist ink. If you have some watercolors and brushes please bring them. Call 82771298 to book in. 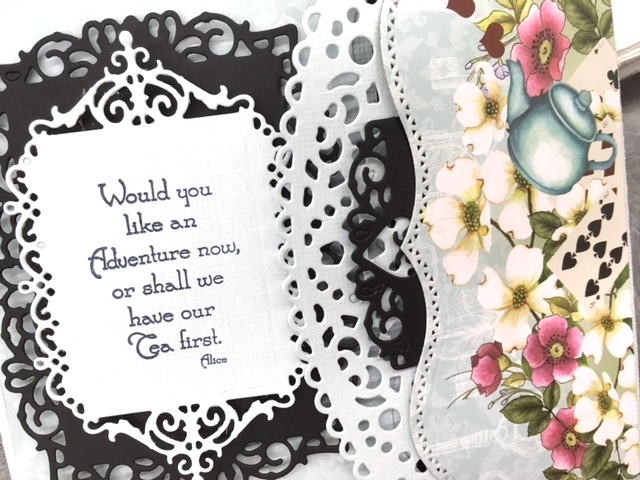 Its a clear acetate page with a mask layer and an abundance of gorgeous fussy cut flowers and elements from Denise's fantastic enchanted tea party collection. Its been designed to go with Denise's next two layout classes (optional) - so when you put it in your album it has a co-ordinating page showing through either side as you turn through the album.